Brush at Least Twice a Day: You should really brush with a fluoride-based toothpaste (fluoride fights cavities) after every meal, but if that's not possible, then once in the morning and once before bedtime works. Don't forget to floss, too. It's easy for food to get stuck in between your teeth—that's what causes plaque buildup. Rinse Your Mouth: If brushing your teeth isn't possible, it’s a good idea to rinse your mouth out with water, especially if you've eaten something sugary. Tap water is recommended, because most public water systems are infused with fluoride. But if you want added protection against cavities, the periodontics experts at Buhite & Buhite, DDS may recommend using a fluoride rinse once or twice a day. 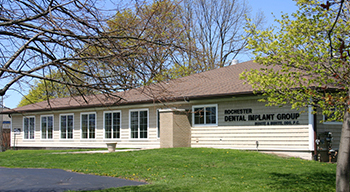 Make a Dental Appointment: If you visit the dentist twice a year for regular visits to get your teeth cleaned, then you’ll likely be able to avoid the emergency visit to the dentist for root canal or dental crowns. 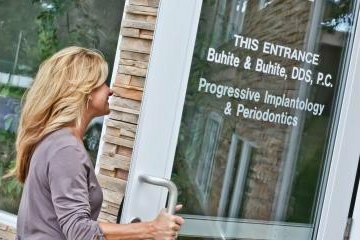 To make an appointment for your next cleaning or to learn about dental services, cosmetic and restorative dentistry, call Buhite & Buhite, DDS at (585) 342-1323 or visit them online.